Whenever a client comes to us to plan a party, the thing we're most interested in is the theme. We LOVE a good theme, it'll make or break your event. 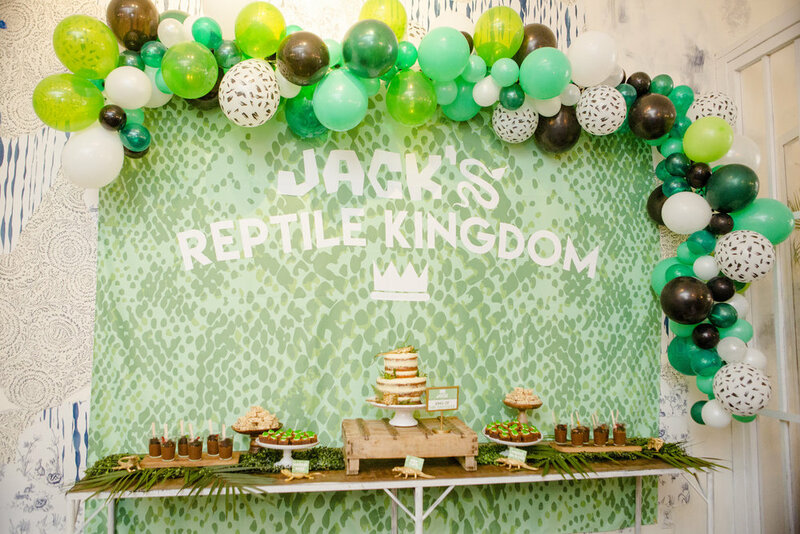 That's why when we got asked to style a party for a little boy named Jack who's obsessed with lizards, we knew this one was gonna be a good one. 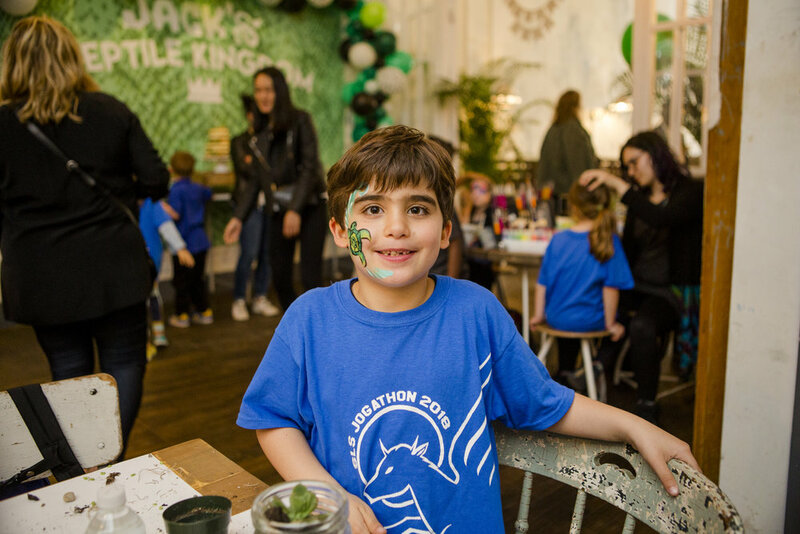 Jack hosted his reptile kingdom at one of our favorite venues in town, Maman. 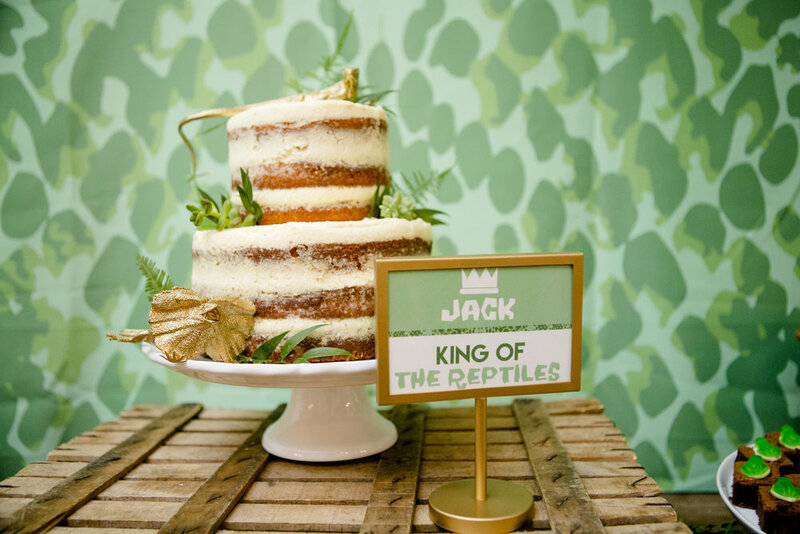 They have a super cool rustic feeling in their decor, which was perfect to go along with our lizard theme. Naturally we went crazy with the lizard decor and added them in all around the party. But to make them a little more creative and fun, we spray painted each of them gold. To bring in that jungle vibe, we styled in tropical greenery all around the room. For entertainment we had A LOT of things going on. 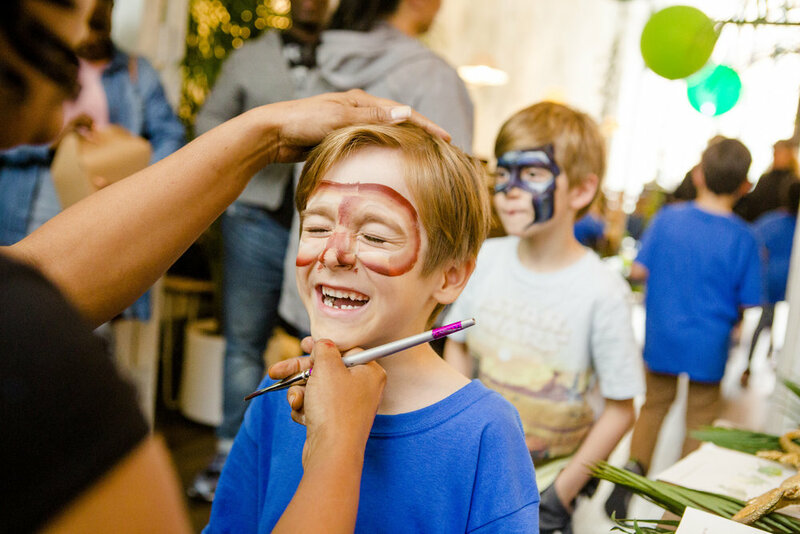 For starters we had amazing face painters from Sheila Jordan Art, create some awesome artwork on each of the kids faces. Next, we had a terrarium building station. I especially loved this because it was both an activity and a favor for each of the kids to take home at the end. Not to mention they loved playing with the dirt! And last but certainly not least - we of course had a reptile show, put on by My Reptile Guys. The kids (and even some of the adults) went NUTS over it. They could not stay in their seats, but who could blame them?! At the end of the afternoon, we topped it all off with some cake, which was provided by the venue, and some gluten free cupcakes from Tu-Lu's Bakery. Happy Birthday Jack, we had so much fun celebrating with you! These gorgeous pICS Were taken by Dave Robbins Photography. Summer Hostess Party in a Box! Sips for Sunrise - rain or shine!